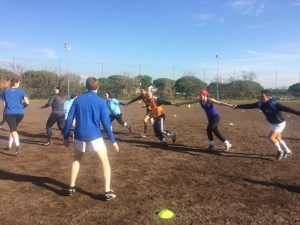 On Saturday December 1st 2018, the Lazio Gaelic Football Club hosted a FUNdamentals Ladies Gaelic Football course in Arnold Rugby Park in Rome, in Italy. 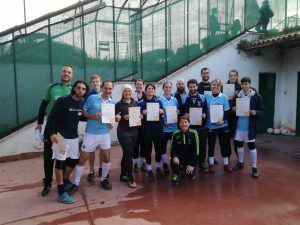 LGFA tutor Eileen Jennings delivered the course to 15 Italian, Irish and American participants from the Lazio, Rome and Milan Clubs. The newly qualified coaches were hugely enthusiastic and enjoyed the course and look forward to putting their new skills into practice in the upcoming sessions with the adult teams. A big thank you to Luca Wulzer and Silvia Ghignoni and the Lazio, Rome club for organising this enjoyable day.